Fifteen McGill graduate students have won prestigious Vanier Graduate Scholarships, worth $50,000 each year for three years of study and research. In addition, two McGill post-doctoral fellows are the recipients of the Banting Fellowship, Canada’s most notable postdoctoral awards, worth $70,000 a year for up to two years of research. Fifteen McGill graduate students have won prestigious Vanier Graduate Scholarships, worth $50,000 each year for three years of study and research. And two McGill post-doctoral fellows are the recipients of the Banting Fellowship, Canada’s most notable postdoctoral awards, worth $70,000 a year for up to two years of research. Both programs are funded through the Canadian federal research granting agencies – Canadian Institutes of Health Research (CIHR), Natural Sciences and Engineering Research Council (NSERC) and Social Sciences and Humanities Research Council (SSHRC). In addition, two McGill students have been awarded Schulich Leader Scholarships, a program created by Canadian business leader and philanthropist Seymour Schulich three years ago. This annual awards encourage high school graduates to embrace Science, Technology, Engineering and Mathematics (STEM) disciplines in their future careers. This year, 1,147 Schulich Leader nominees competed for the 40 awards available. To date, the program has helped 120 students from across Canada by distributing more than $7.6 million. Two scholarship recipients are selected at each of 20 participating universities. One undergraduate scholarship, valued at $80,000, is designated for a student pursuing a degree in an Engineering program. The second, valued at $60,000, is awarded to a student pursuing a degree in a non-engineering based Science, Technology or Mathematics program. The Vanier scholarship is awarded to students who demonstrate excellent leadership skills and a high standard of scholarly achievement in the social sciences and humanities, natural sciences and engineering, or health-related fields. The Banting program annually supports 70 post-doctoral researchers annually who work at Canadian universities and leading international research institutions. This helps develop research leaders who will positively contribute to Canada’s economic, social and research based growth. 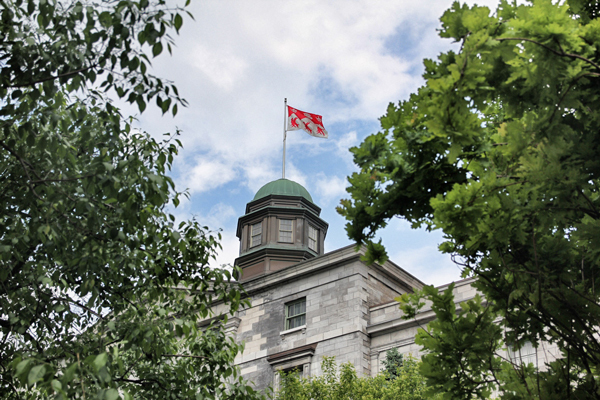 The McGill Vanier Graduate Scholarship recipients are: Miguel Cisneros-Franco, Daina Crafa, Camille Juzwik, Yuen Shan Stephanie Law, Amro Mohammad, Julia Nantes, Samara Perez, Gilla Shapiro, Maxwell Farrell, Allyson Menzies, Mauricio Delfin, Mohammad Karimi, Gillian Klassen, Sarah Moritz, Caroline Seagle. Dr. Karen Desmond, a post-doctoral fellow in Fine Arts, and Dr. Ruifeng Cao, post-doctoral fellow studying the nervous system, are the Banting Fellowship recipients. The Schulich winners are Simona Bene Watts (Science) and Anna Henley (Engineering). Congratulations to these sholarships winners. I am a new PhD student of the department of Materials Engineering and also hope to win one of such scholarships by working hard in the following career in McGill University.